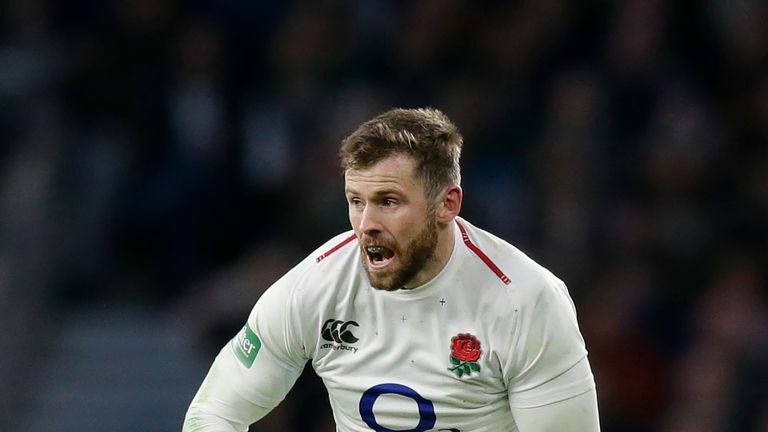 Will Greenwood says England's Six Nations opener against Ireland is the perfect chance to properly test Elliot Daly at full-back. Daly has proven his versatility in the past, starting at wing, centre and full-back under Eddie Jones since making his debut as a replacement during the 2016 Six Nations. Mike Brown has been the first-choice full-back for the majority of Jones' tenure, but in June last year Daly was picked at No 15 for all three Tests against the Springboks with Brown on the wing, and in November Daly kept the jersey while Brown fell out of the matchday 23 completely. With England travelling to Dublin to take on Ireland in their first game of the Six Nations, Greenwood says it is the perfect time to test Daly to see if he is the right man to play at full-back for England at the World Cup. "Mike Brown is your Tony Adams, like John Stones," Greenwood told Sky Sports News in the wake of England's Six Nations squad announcement. "He's your centre-half who just sweeps everything up. Anything goes up in the air, he defuses it. "Why are Ireland so good? All their back three are sensational in the aerial battle. Rob Kearney just controls. Any ball that's up in the air, it just doesn't bounce, it doesn't hit the deck, it's not a 50-50 ball bouncing around and suddenly players are picking it up in front of them; penalty. You knock it on; scrum. You don't concede territory. "The view would be, from my perspective, is if you go to Ireland and you want to find out about Elliot Daly and you're thinking that 2019 is about the World Cup - huge Six Nations - and there's one place you want to find out whether Elliot Daly can do it or not, you go to Ireland and you pick him. "Because the one thing you're guaranteed is that the ball's going to go into the clouds, into the skies, and if he can control that backfield in Dublin, then he's your man. It's like Richard Wigglesworth at scrum-half - Mike Brown is your comfort blanket." Wigglesworth has not made it into the squad, neither has Danny Care, with Ben Youngs and Dan Robson preferred. Greenwood says there is nothing to be learned from taking Wigglesworth to the Portugal training camp, but that he would have liked to see Ben Spencer given a chance to prove himself. "Danny Care was dragged off at half-time against Japan [in November]," said Greenwood. "For the Australia game, Ben Youngs and Richard Wigglesworth came back in - I think he's 73 years old now, Richard Wigglesworth, and still performing quite sensationally well! "He misses out, but there's no need to take Richard Wigglesworth to Portugal; if there's an injury [Jones] can literally cut-copy-and-paste him straight in. "Dan Robson started the season fantastically well for Wasps then picked up an injury [but is] back in good form. "I sort of feel at some stage, if you're in a training camp why not take three? I would have liked Eddie to have perhaps had a look at Ben Spencer. Both of them; huge impact, massive engines, super quick, great delivery. If he only takes two you can't quibble too much because you feel Dan Robson deserves his chance, but in the world of 2019 when you want everyone to have a good go, it's a shame for Ben Spencer." Dan Cole has been drafted back into the squad after missing out on the South Africa tour and the autumn internationals. Greenwood says it is a reward for good form, and an understanding that there are enough ball carriers in the England squad and therefore room to pick someone who will thrive on spearheading the set-piece. "He hasn't played since the Ireland game last year. He's come back to Leicester Tigers, and what do you want from a player of that experience when you exclude him from the squad? You want him to go back to his club and play really, really well. "And whilst Leicester's form has been indifferent; they've peaked, they've had some really good performances under Geordan Murphy, but they've also had some absolute cuffings. In amongst that, Dan Cole has just rewound the clock a little bit, and it isn't just bending over and pushing like a trojan like we know he can do. "When you look at this England team, and you've got Mako handling, you've got Jamie George handling, Joe Launchbury handling, Billy Vunipola handling - you've got some real bulk, and so therefore in that mix you can begin to [say] 'actually I need my three just to completely lock out that scrum'." Another player to miss out, though not surprisingly, is Danny Cipriani. The Gloucester playmaker has played a total of two Tests under Jones, with injury and off-field indiscretions plaguing him - though the England boss has maintained in the past that Cipriani is not being picked for "rugby reasons". Greenwood believes that, at this point, there is little to no chance of seeing Cipriani picked by Jones. "Apparently there's snow forecast," said Greenwood. "When it's snowing in Marlow, we might see Santa Claus before Danny gets back in that squad."